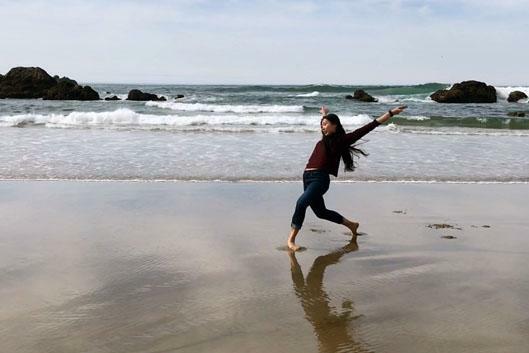 Senior Sara Yuen, will present her distinction project, "Oceans--A personal reflection on an experience of Asian American identity through dance. From Sara: "'Oceans'" is a performance study that focuses on my experiences within Asian American identity formation. The research aims to deconstruct how participating in dance can shape an individual though the practiced performance, physical enactment, and framing of identities in relationship to one another within a specific community of practice. The work is not meant to make blanketed statements on what it means to live and dance in America in a body marked as Asian. Instead, it offers my own artistic interpretation--through a mix of film and live performance--of what processing ethnic identity through dance within Asian American community in these past few years at Duke University has meant to me.